A. R. Rahman was born on 6th January, 1967. His complete name Allah Rakha Rahman. Originally he and his name was Dileep Kumar. 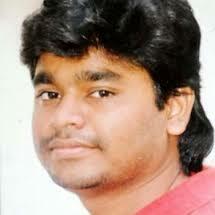 Today, he is acknowledged as one of the best musicians of India. He hails from Chennai in Tamil Nadu. He is the one who brought about radical changes in the style in which music was made in India. The music composed by him has such a rare power that it naturally attracts every one. A.R. Rahman is often called the Mozart of Madras by his fans in India and abroad. 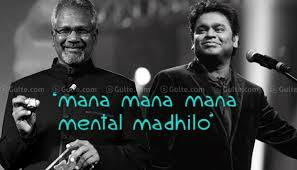 Rahman's father's name was R K Shekhar. He too was a composer. The early death of the father put the family in deep financial trouble. In between, his sister became sick and she was healed as a result of the prayer in a mosque. This incident made the family to convert to Islam. In 1991, he began his own studio. First he began his career by making music for advertisements, television channels etc. The breakthrough into the Film world came when he was asked by film director, Mani Ratnam to compose music for his Tamil film, Roja. This movie turned out to be blockbuster hit and then there was no looking back for A.R. Rahman.